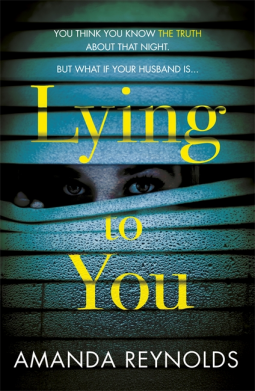 Back cover blurb: Following on from her eBook bestseller Close To Me, Amanda Reynolds is back with Lying To You, another gripping psychological drama. Perfect for fans of The Husband's Secret and I Let You Go. You think you know the truth about that night, but what if your husband is LYING TO YOU? When Jess Tidy was Mark Winter's student, she made a shocking accusation. Mark maintained his innocence, but the damage was done. Karen Winter stood by her husband through everything, determined to protect her family. Now, ten years later, Jessis back. And the truth about that night is finally going to come out . . . A gripping drama with dark twists and turns, perfect for fans of Liane Moriarty and the BBC series Doctor Foster. Jessica Tidy is forced back home by the death of her alcoholic mother. She was forced away from her home town as a teenager by a series of events that changed her life forever. She made the mistake of trusting someone she was close to, and has vowed never to make that same mistake again. Jess’s brother, Will has always maintained that his sister has been telling the truth about that fateful night. He encourages her to return home for their Mother's funeral, although he knows more than most that she may not exactly be welcome. Jess' old school teacher Mark Winter despite serving time, still protests his innocence about what happened between him and Jess. He does not blame Jess for his wrongful conviction as his wife does, more her teenage naivety and troubled home life. Karen Winter has stood by her husband, convinced he has always been telling the truth. She is convinced that Jess is the guilty party; guilty of making up the accusation that sent her innocent husband to prison. But what if the truth is more complicated than that? What would you do if you found out that the person you thought was telling the truth has been lying to you for all these years? Lying to You is available from 26 July 2018.